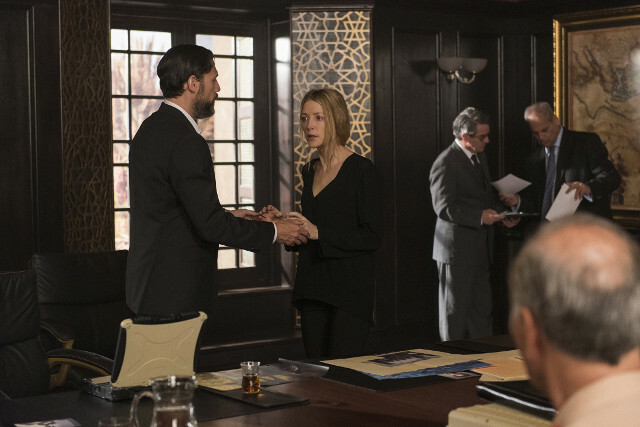 Things came to a shocking conclusion on the latest episode of Tyrant as Barry (Adam Rayner) and Molly (Jennifer Finnigan) witnessed a horrific tragedy. 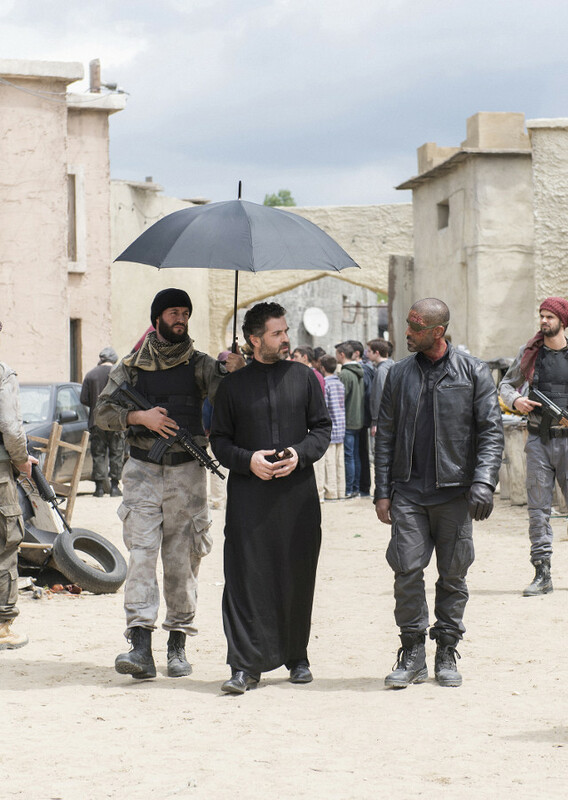 Barry stepped in to prevent Molly from turning herself over to Ihab (Alexander Karim) in exchange for the safe return of their daughter Emma (Anne Winters). 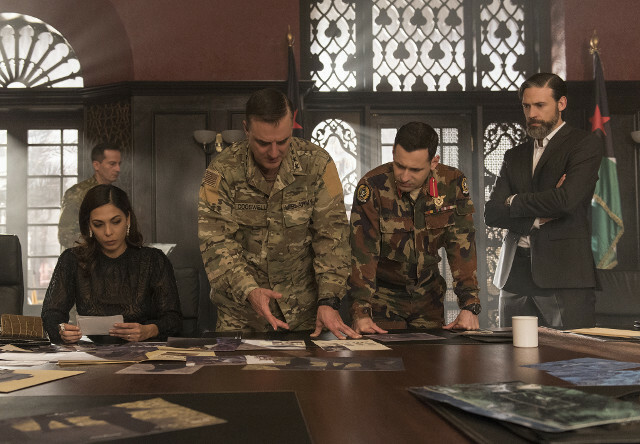 He convinced her to allow General Cogswell (Chris Noth) and his men to accompany her at the exchange so they could apprehend Ihab without Molly’s life being endangered. As they closed in on Ihab, who was transporting Emma, their men were killed and Ihab realised that he had been set up. In retaliation, and knowing that Barry and Molly were watching via cameras, Ihab stabbed Emma in the streets of Abuddin and left her to bleed out on the floor. Elsewhere in the episode Sammy (Noah Silver) continued to pursue his feelings for Professor Haitham (Raphael Acloque), which were reciprocated when the two kissed, and Ahmed (Cameron Gharaee) killed Jamal (Ashraf Barhom) after deciding that he didn’t want to help him live by being tested to see if he would be a liver donor match. The next episode of the season is Prayer For Our Daughters. 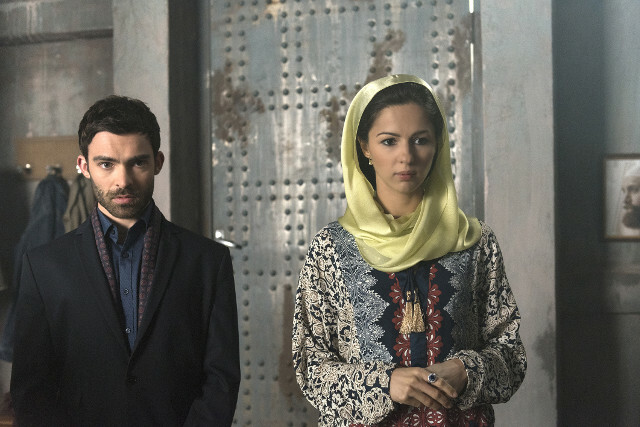 Barry and Molly respond in very different ways to a catastrophe that threatens to throw the country off course, as violent protests break out in Abuddin.